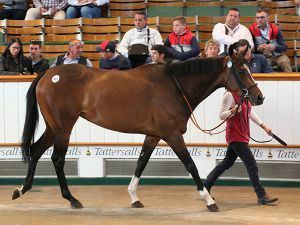 The records continued to tumble at Tattersalls with new benchmarks for turnover, average and median all set at the 2017 renewal of the July Sale. The final session saw a total of 178 lots realise 4,161,300 guineas and featured the sale-topping price of 330,000 guineas. The three-day sale totals saw 574 lots sell for 14,691,700 guineas, at an average of 25,595 guineas and a median of 12,000 guineas. The turnover was up 19% on the 2016 renewal, whilst the average and median rose 19% and 20% to new records. There seemed little doubt that the Godolphin consigned filly TIME CHECK would be the sale-topper after realising 300,000 guineas on the opening day but that figure was usurped during the last session on Friday evening when the GALILEO filly ASANTA SANA was knocked down to Saeed Manana for 330,000 guineas. Bloodstock agents Andrew Williams and Cathy Grassick looked to have the battle to secure the daughter of the Australian Group winner MILANOVA between them but Manana, standing behind the partition, entered the fray late in the day to disappoint the pair. "We will send her back into training," said Manana, "to my trainer James Tate." Tate, who was standing with the successful purchaser, added: "We will try and win a race with her, and then she will join Saeed's broodmare band. She will come straight back to us and we will ready her for a race in the autumn." ASANTA SANA is out of the DANEHILL mare MILANOVA, a Group 3 winner and Group 1 placed in Australia, and dam of the Group 3 winner PRETTY PERFECT and a half-sister to the champion two-year-old and dual Group 1 winner HOLY ROMAN EMPEROR. 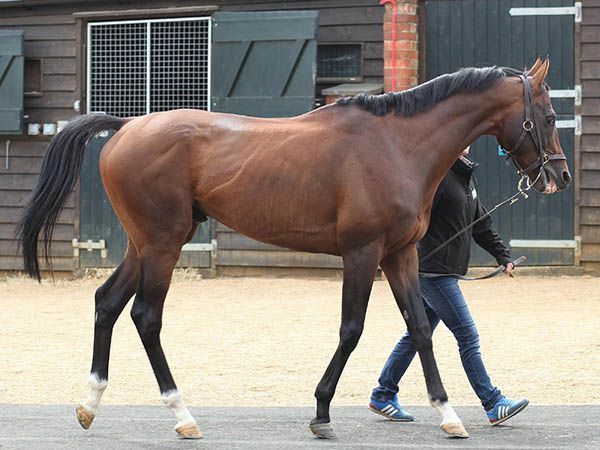 She was sold as part of the Clarehaven draft from trainer John Gosden. Rabbah Bloodstock’s Saeed Manana had also purchased the top lot during the morning session when he went to 150,000 guineas to secure the Juddmonte Farms consigned IMPALA. The daughter of OASIS DREAM was in high demand as the half-sister to Group 1 winner ZAMBEZI SUN and Group 2 winner KALABAR and like the sale-topper, the frustrated underbidder was agent Cathy Grassick. The Juddmonte Farms consignment is always in-demand and it proved no different this July with their 27 lots realising a total of 958,000 guineas. 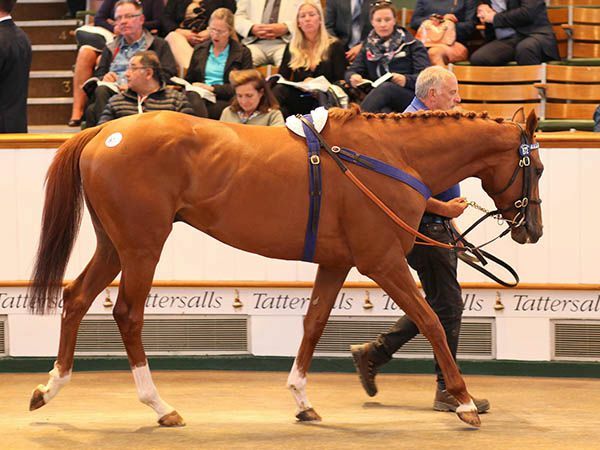 Qataris have in recent years played a major part in the July Sale at Tattersalls and late in the evening that they played a part in two of the leading lots for the sale. The first was as a vendor, with the Marco Botti-trained QATAR MAN who was knocked down to the Singapore-based pair of Sennett Ho and Aloysius Chew under the Elite Bloodstock Singapore banner. The son of ARCHARCHARCH has raced only six times for Qatari owner Mubarak Al Naemi and was most recently sixth in the Group 2 UAE Derby behind recent Group 1 Prix Jean Prat winner THUNDER SNOW. QATAR MAN was offered with an official rating of 106. Soon after the leading Qatari trainer Jassim Ghazali struck to secure the Michael Halford-trained ALLOGRAPHY for 185,000 guineas. The three-year-old son of IFFRAAJ won three times for Godolphin and his most recent victory saw his official rating rise to 87. The multiple Group winner ARAB SPRING was the first lot to be sold as part of the Ballymacoll Stud Dispersal which will feature throughout the Autumn at Tattersalls and the seven-year-old son of MONSUN did not disappoint, selling for 100,000 guineas to the bid of Rashed Bouresly. "He needs a proper rest and then rebuild and he will be readied for the Carnival. He is a good performer and I hope he is successful. We can use him as a stallion afterwards." The remainder of the Ballymacoll Dispersal will feature at the October Yearling Sale and the December Sale. 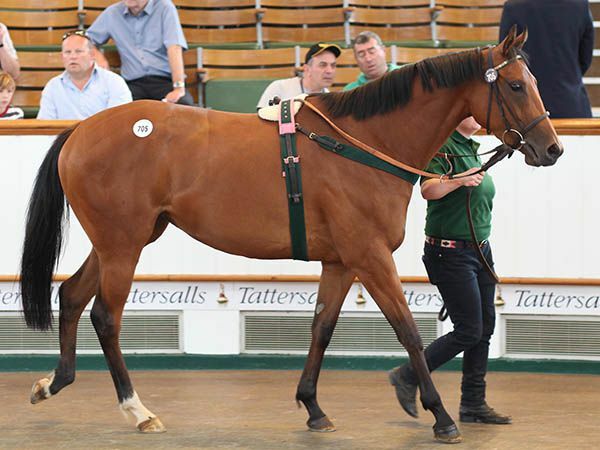 “The Tattersalls July Sale continues to go from strength to strength. The 2016 renewal produced record turnover and average as well as an 88% clearance rate, and this year’s sale has made gains across the board with turnover approaching 15 million guineas, an average well over 25,000 guineas and a remarkable clearance rate of almost 90%. The figures look even more impressive when considering that as recently as 2012 the July Sale turnover was below 5 million guineas and the average price was less than 12,000 guineas. “Tribute should be paid to the consignors whose consistent support of the July Sale has made it an important international fixture which regularly attracts buyers from more than 30 different countries. The significant consignments from Godolphin, Juddmonte Farms and Shadwell have yet again been particularly eagerly sought after with Godolphin fillies fetching three of the top five highest prices including the 300,000 guineas TIME CHECK. Strong international demand for quality breeding stock is always an encouraging sign, but arguably the feature of this week’s sale has been the apparently insatiable demand for horses in training at all levels of the market. The combined clearance rate for the horses and fillies in training sold on days two and three was an extraordinary 95%, further enhancing the July Sale’s reputation as Europe’s premier midsummer sale." The next sale at Tattersalls is Book 1 of the October Yearling Sale which takes place from October 3 – 5.